On Thursday, President Barack Obama announced that health insurance companies are no longer required to kick people off their coverage if it doesn't meet Obamacare’s new standards. The president is offering a one-year “grandfather” extension for the plans. The announcement, made under intense pressure from his own party, was made to address criticisms that the president had broken his promise to the American people that “if you like your plan, you can keep it” under his 2010 health care reform law. Between 7 million and 12 million Americans were to be sent cancellation notices for 2014 because their plans did not meet the minimum coverage requirements set up under the law. Obama admitted on Thursday that the fix “won’t solve every problem for every person.” That could prove to be a big understatement. For one thing, the federal government will simply inform state insurance commissioners that they are allowed to let insurance companies sell out-of-compliance plans for one more year. But commissioners could choose not to. Additionally, the insurance companies themselves do not have to continue to offer the plan, if they don’t want to. Timothy Jost, a health care expert at Washington and Lee Law School, said it remained a "real question" whether state insurance officials would agree to the change. That means many people will still lose their coverage. And even those who keep it will have to transition to a new plan in a year’s time. If you were on an individual plan and received a cancellation notice, you should contact your insurer to see if it plans to reoffer the coverage. Some Senate Democrats planned to pass a bill to compel the insurance companies to continue to offer the plans indefinitely, going a step further than the president. House Republicans, meanwhile, have a bill that would go yet further, asking the insurers to continue to sell the old, out-of-compliance plans to new customers. It remains to be seen how many of the millions of people who were kicked out of the old individual market will actually be able to get back in. Some insurance experts warned that if people on the old individual plans — who tend to be younger and healthier — are not required to migrate to the new exchange, it could result in higher premiums there. America’s Health Insurance Plans’ President and CEO Karen Ignagni said in a statement Thursday that the problem could “destabilize the market and result in higher premiums for consumers.” Ignagni said the change means more people could end up staying on their old plans, which will hike up costs for people participating in the new exchange. But the federal subsidies available for many people through the federal exchange may lure consumers over on their own. People who stay with their old plan will not be eligible for subsidies, though they would avoid the $95 penalty for being uninsured that begins next year under the law. About 106,000 Americans signed up for individual coverage on the exchange in its first month of operation. 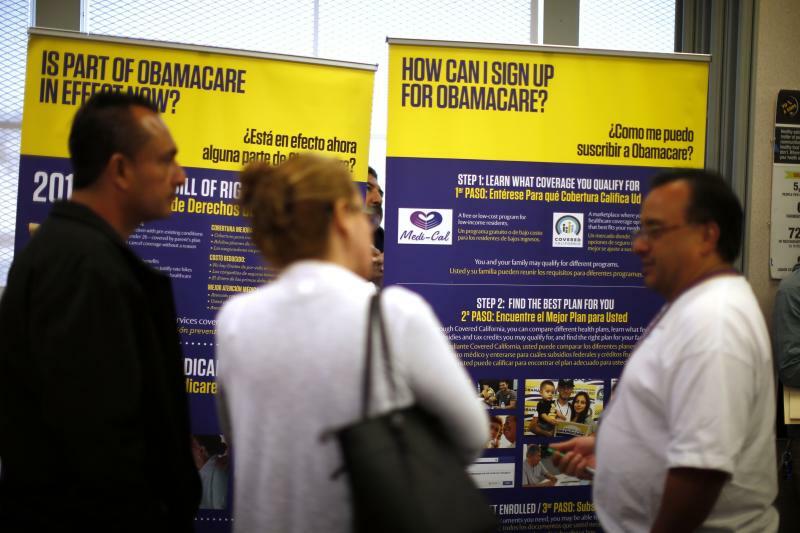 Federal budget officials expected 7 million people to enroll by the end of March.